I have been producing these bags and purses from the time the company of Vera Bradley made them famous. These bags and purses are practical, economical, loads of fun to create and are a beauty and sight to behold. It will be extremely unique and you will not have to worry about bumping into someone holding the exact same bag or purse. This is probably the best part about making a quilted purse or bag. You are entirely free to customize it to your heart’s desire and content. You can choose fabric and pattern with small hearts and flowers that describes your very girly or feminine personality or those materials with loud and bold prints that jive with your fun – loving and go – getter attitude. These bags and purses will bear a stamp of yourself because you not only made them with your bare hands but you also enjoyed the process in creating them. You will totally have a blast creating these bags and purses. It’s simple, easy and convenient! 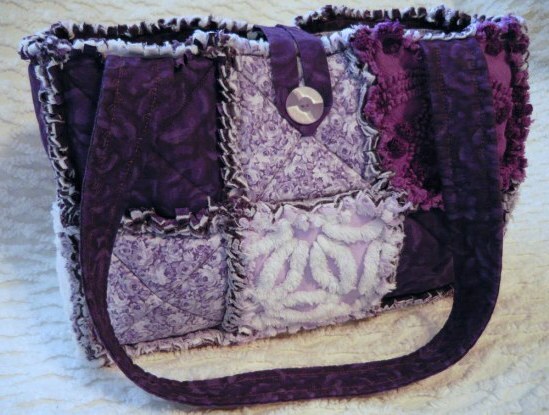 I will wish you all the best as you start creating these quilted bags and purses! Let us now start with the steps for creating wonderful quilted bags and purses! The first step is to select the pattern of the bag or purse you desire to create. I started my creation with a simple country brief case… nice. After picking out the pattern, go shopping for great deals on quilted materials that are reversible. At this juncture, some people believe they know everything and do not choose a reversible fabric and instead use two different fabrics. Do not commit this error, you will be thankful later. After selecting your fabric and pattern for your purse or bag, you are now ready to start. The next step is to cut out the purse or bag you intend to create. As you browse in the malls or shops for supplies and materials that you will use in creating a bag or a purse, make sure that you will be using a soft plastic for the bottom portion of the bag. This is so that the bag will be stable enough. Also, keep in mind not to purchase or use anything for the bag that cannot be washed or laundered.